Home > Insights > Sharemarket exposure with reduced risk – is it time to consider managed-risk investments? In light of fairly significant sharemarket falls in recent weeks we’ve heard plenty of our clients query where the opportunities for portfolio construction may lie in asset classes other than equities or otherwise discuss potentially overlooked equity exposures. It seems that a number of our clients are adjusting their portfolios to more of a ‘risk-off’ environment or to potentially prepare for further market adjustments. 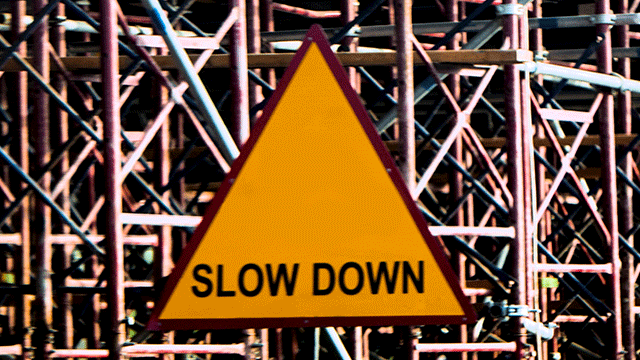 These questions are certainly more pertinent for SMSF and retiree investors as the impact of a market drawdown is amplified for those having to access their investments for income, rather than having the ability to ‘ride out the storm’. In the lead up to the launch of BetaShares’ Managed Risk suite of funds, we researched the market and noticed that while there was a plethora of investment options available to investors in the accumulator phase of their lives, the variety and options tailored to retirees and SMSF investors were limited. These investors were essentially dealing with a fundamental investment challenge – the returns on low risk assets like cash were not going to be enough to sustain these investors through their retirement and so other asset classes were needed. However, therein was the dilemma – invest too conservatively and risk running out of money, or invest in too many risky assets and be exposed in a market decline. The problem for us was then to find a solution that would allow investors sharemarket participation with all the benefits of dividends, franking and some capital growth, but also allow some form of downside risk management in times of market stress. 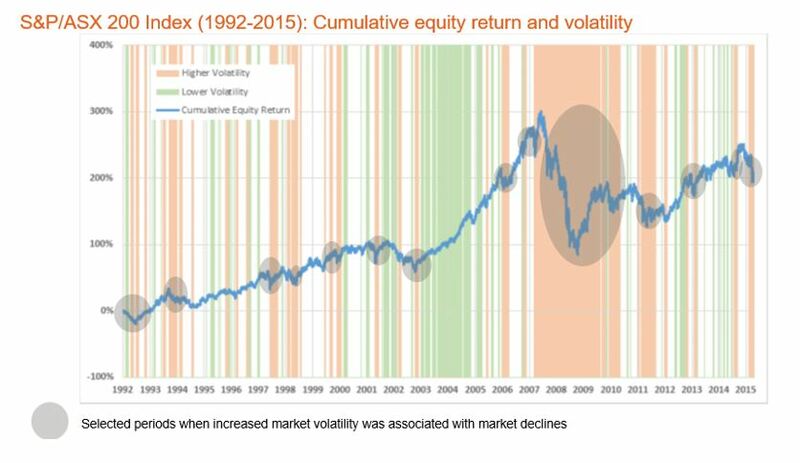 The chart below highlights the performance of the S&P/ASX 200 Index over a 23 year period, the peach coloured bars represent higher volatility in markets and the green coloured bars represent the periods of lower volatility. What this image illustrates is that the periods of high volatility are often clustered and have historically coincided with market declines. Source: Milliman Financial Risk Management LLC, 31/12/1991-30/09/2015. The chart above is historical and for illustrative purposes only. it does not represent actual performance of any investment. Past performance is no guarantee of future results. This is where the concept of “managed risk” came in. The idea of these types of funds is to deploy a strategy that would be near-to or fully invested in markets when volatility was benign, but then to have a hedge in the portfolio when the reverse occurred and volatility was high. We believe for risk-focused investors these funds are an efficient way to get market exposure, along with volatility management all in one trade. Observing clients’ use of these funds, we notice that some investors are using AUST and WRLD as their core Australian equity and global exposures and then investing in other riskier assets as satellites to potentially achieve higher growth. All this is just food for thought on investment options that have more defensive properties given the current market conditions. Feel free to reach out if you’d like to learn more!